Young Entrepreneurs in Africa – How about a $100,000 Prize from Anzisha? 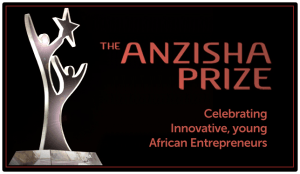 The Anzisha Prize is Africa’s highest award for young entrepreneurs. 15 finalists from across Africa will win a spot in a lifelong fellowship that will help accelerate their path to succeeding as entrepreneurs. All finalists get an all-expenses paid trip to South Africa, and to experience a weeklong entrepreneurship workshop and conference at the African Leadership Academy campus on the outskirts of Johannesburg. The grand prize winners, selected from these finalists, will share prizes worth $100,000 USD. Each of the 15 finalists will receive a $7500 fellowship package with Africa Leadership Academy’s Youth Entrepreneur support Unit (YES-U). This includes the Anzisha Week boot camp, consulting services, mentorship, networking opportunities, travel opportunities and business equipment. The Annual Grand Prize winner receives $25,000. The 1st Runner-up receives $15,000, the 2nd Runner-up $12,500 and all the remaining finalists receive $2500 each. An additional prize category of $25000 has since been created to reward performance of Anzisha fellows. This award recognizes those entrepreneurs who have extracted the highest value from the Anzisha program to date. You must be between 15 and 22 years old with an ID document or Passport to present as evidence. Anyone born before November 1, 1996, or after October 31, 2004, will not be considered. Applications are made online, in English, French, Arabic, and Portuguese. An already running venture: Is the venture already established, with customers and beneficiaries? Does this venture deliver value to these individuals? Impact: Has this venture demonstrated some impact already? Founder-led: Is the venture owned, led and managed by the founder? Scalability: IF this venture is a for-profit business, does it already earn revenue, and does it have potential to increase revenue with the support of Anzisha? If the venture is a not-for-profit enterprise, does it already reach beneficiaries, and does it have the potential to reach even more beneficiaries with Anzisha’s support? Job Creation: Has this venture created jobs? Does it have the potential to create even more high-quality jobs? Venture leader: Are you the leader of your venture, and do you drive its strategy and operations? Commitment: Do you spend at least 20 hours (or more) per week at your business? Will you continue to do so after selection?